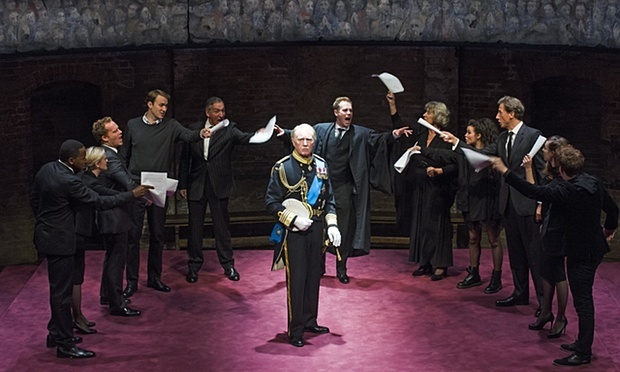 Remarkably, King Charles III, directed by Rupert Goold, is both and so much more. Delightfully this play is both Shakespearian in sound, character, and structure, but also social commentary and comedy, all rolled up in a pretty serious piece of theatre and theatrical writing. All the characters that we see in a Shakespearian history play are there, including the comic players, the betrayers, and the schemers, but more importantly in the traditional history plays, as well as some of the tragedies, the complex characters and dilemmas. 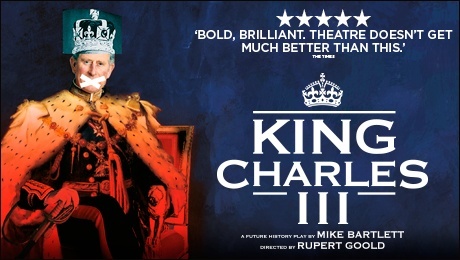 Pigott-Smitt is remarkable playing Charles as both the foolish man and the self-righteous King. 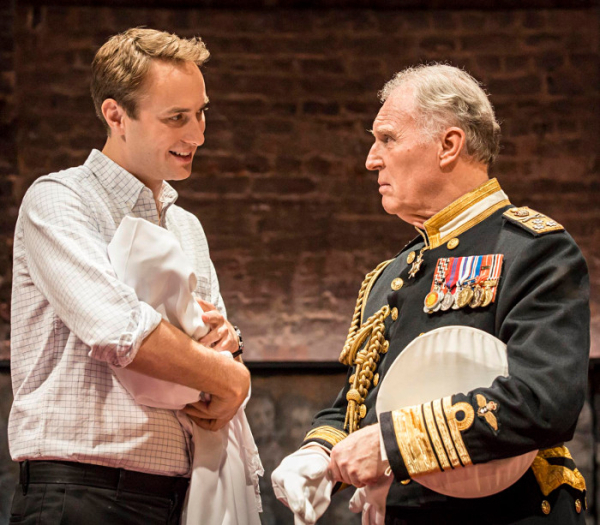 As does Oliver Chris as William, the dutiful prince, loving husband, but also a very loyal man. The son role is the one that is more complex. Where does his loyalty and duty truly lie? The same could be said of the wonderful Lydia Wilson as William’s wife, and future Queen. Is she the Lady Macbeth in this drama? Or the wise future Queen? Richard Goulding as Harry, the wild child, is both funny and very touching. I had an immediate response to him when he first entered the stage. The impulse was to laugh, but also I had the nagging feeling that to laugh was not so kind. But funny he is, and also serious and uncomfortable in his skin and in his role of prince. The part just deepens into commentary on self and on monarchy rule. And the ultimate clash that brings together King, Prince, and the Prince’s newly found rebel of a girlfriend (Jess delightfully played by Tafline Steen), and much to all their credit, this clash carries weight and many layers of meaning. 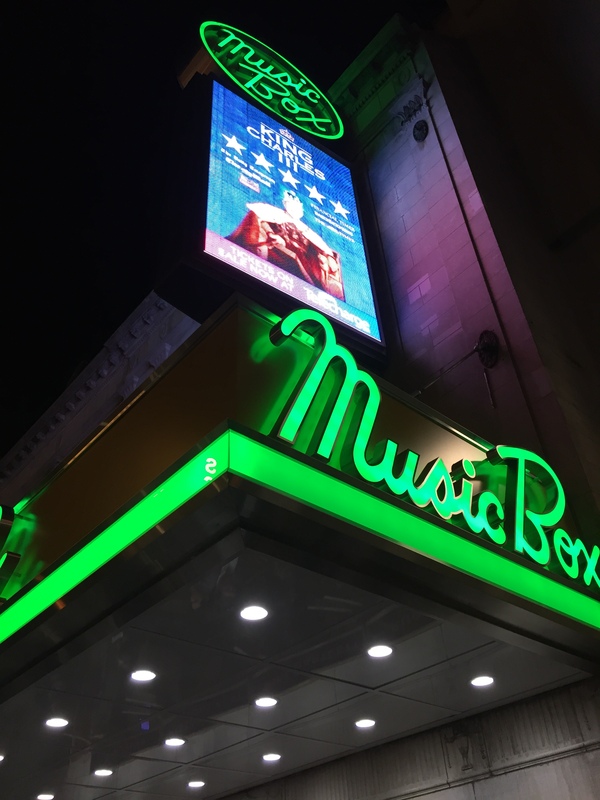 Beautifully designed by Tom Scutt in a historically reminiscent Shakespearian style, this Almeida Theatre Production transfer from the West End delivers on all counts. It’s a smart and exciting piece of writing and of theatrical story telling of a future history that has yet to unfold, but could. We will just have to wait and see how right Bartlett got it. And how many Tony nominations this play will gather.